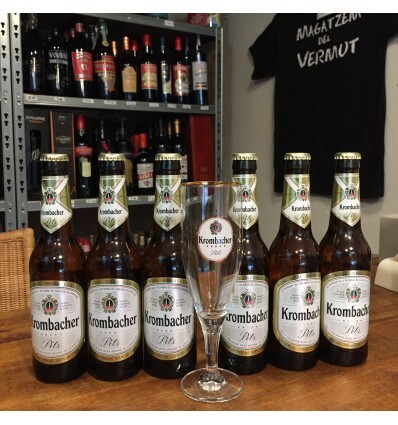 Our best imported beer bottle Krombacher 33cl Pils. We offer it to you in the best way and only buying six units we give you a fantastic official brand glass cup to enjoy this amazing beer in your official glass cup. 6 Krombacher 33 cl. beer + 1 Gift glass cup.